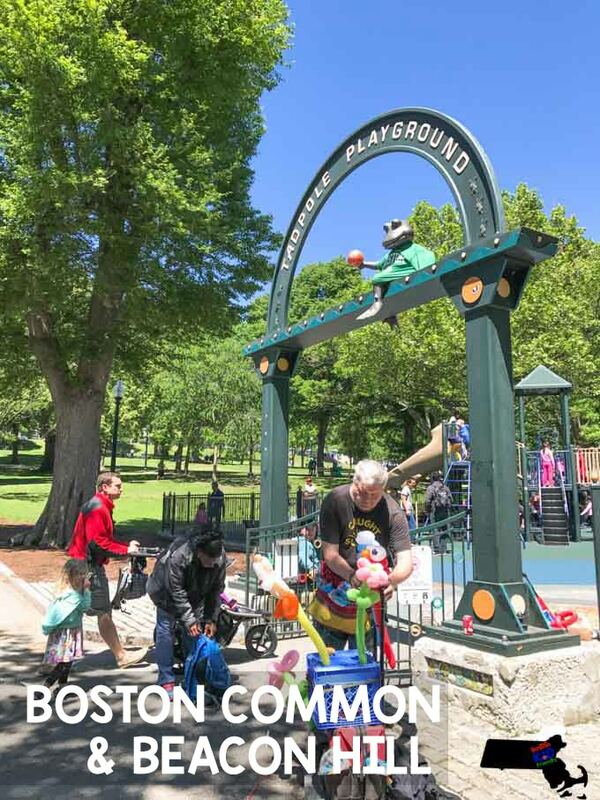 What local or even tourist doesn’t know about America’s oldest public park, the Boston Common? And because of that, it’s our second stop on the MBTA in effort to fill up our Boston Kids’ Passport! 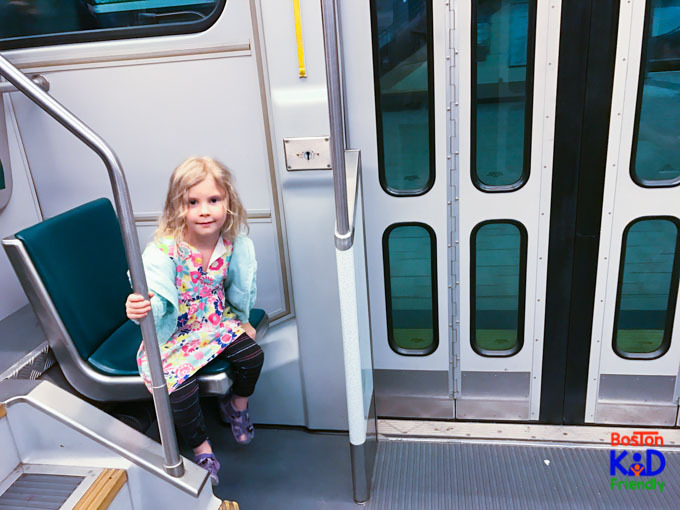 While there is a lot to see and do at the Park street stop on the red and green lines, did you know that it’s the closest stop to explore Beacon Hill? Or that beyond the Tadpole playground, there’s a hidden gem of a play spot inside of Beacon Hill? Spend a whole day soaking up the rich history the Commons have to offer. 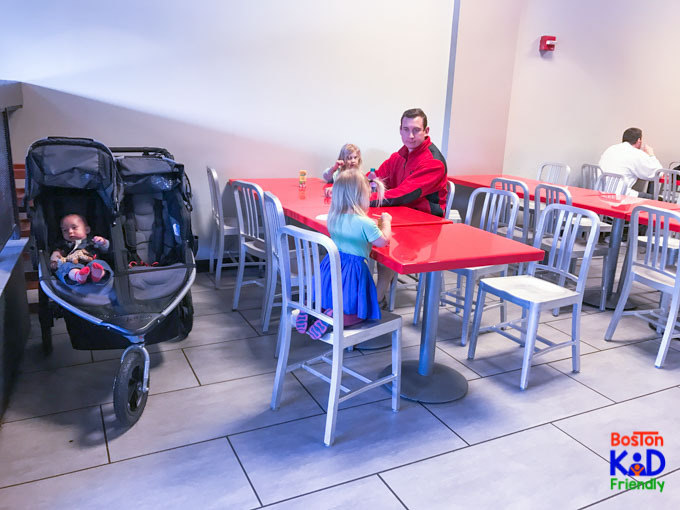 It’s right by a cross walk from Boston Common and has a huge, spacious seating area. They have 3 bathrooms, high chairs, lots of food options, and lots of price ranges. In fact, you can get a single slice of pizza for under $3 or get a large pasta dish for $9+. It was worth it for the space and restrooms alone! Food trucks are always an awesome option! 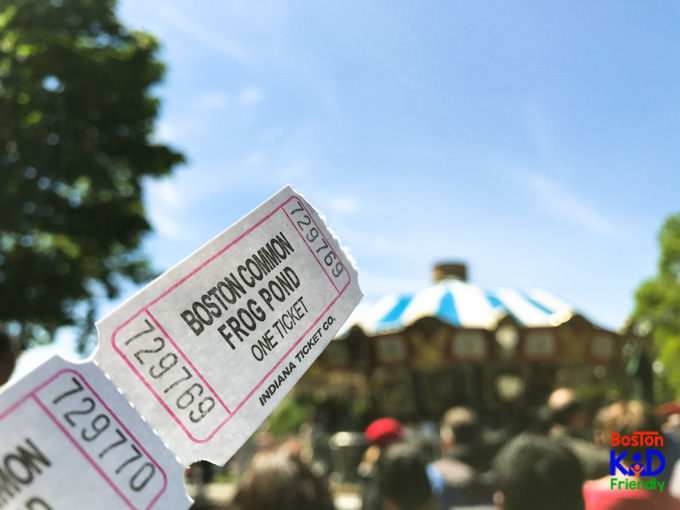 Year round there are fun festivities at the Frog Pond. Whether it’s a pumpkin float in October, ice skating in the winter, or splashing in water in the summer, there’s always a crowd! In fact, the Tadpole playground seems to be packed most days. Quiet playground around the corner in Beacon Hill at Myrtle and Russell Street called the Myrtle street playground. It has lots of toys, small picnic tables, and is a much more intimate setting. Don’t forget to grab your free printables like the MBTA “destination discoverer” cootie catcher! The Merry go round costs $3 and parents that are standing, holding their kiddos don’t have to pay. A wonderful educational destination where famous American families and Founding Fathers have been buried. However, there are no diapers there, so a quick stop into CVS: 42.3560° N, 71.0614° W off Winter street towards the heart of downtown crossing would be your best bet. If you walk beacon hill, some of it doesn’t have wide enough sidewalks even for regular size strollers.